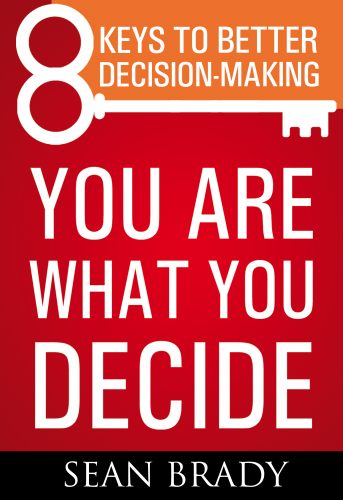 Prism’s Group Decision Support System™ is capable of accelerating and improving decision-making in unprecedented ways. 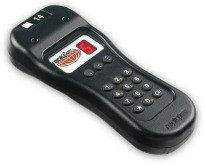 All meeting participants — not just those who are most vocal – use radio response keypads to assess options. Power and turf are removed from the room. Instant feedback demonstrates clearly where there is agreement and where there is disagreement. Undercurrents within the meeting are exposed and objectively displayed. In short, the group’s decision-making is ordered, rational and collegial. Consensus is deeper. The whole process is accelerated. The group’s vote results are instantly displayed. 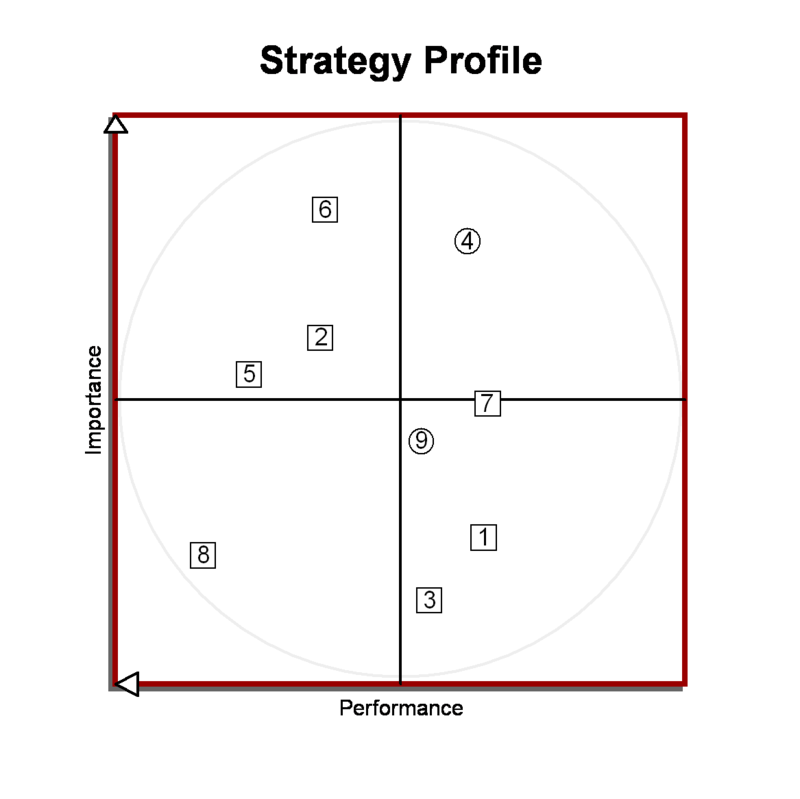 For example, a typical strategic planning session produces a Strategy Profile. 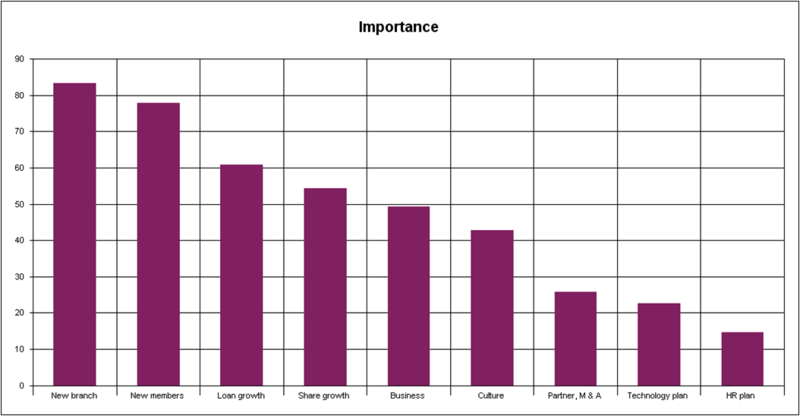 In this example, the client group first completed a paired comparison analysis to force rank nine strategies in terms of their importance to great success (vertical axis). 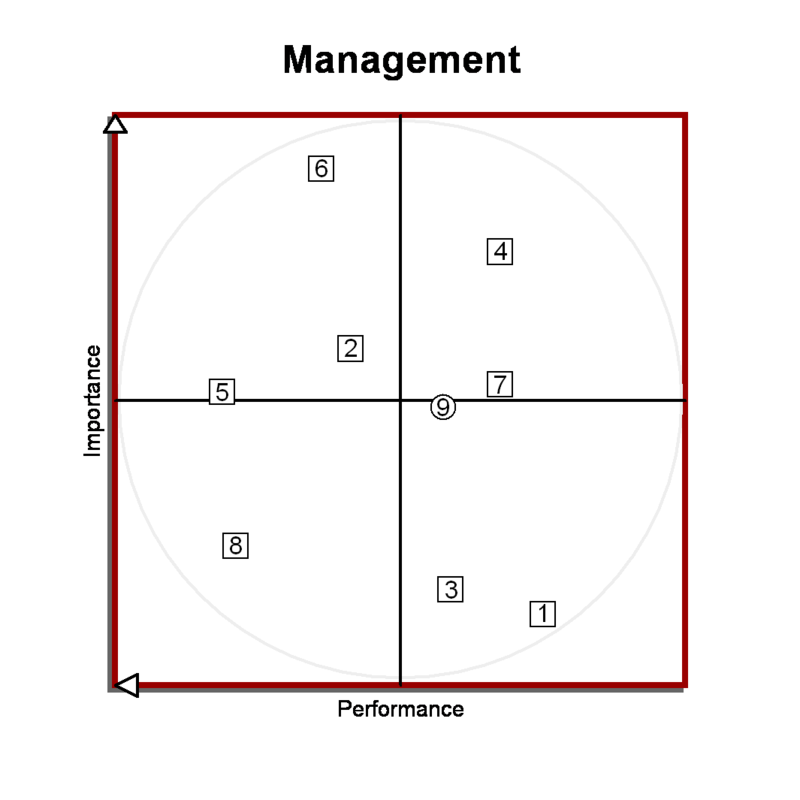 Second, they assessed how well the organization is currently performing each strategy (horizontal axis). 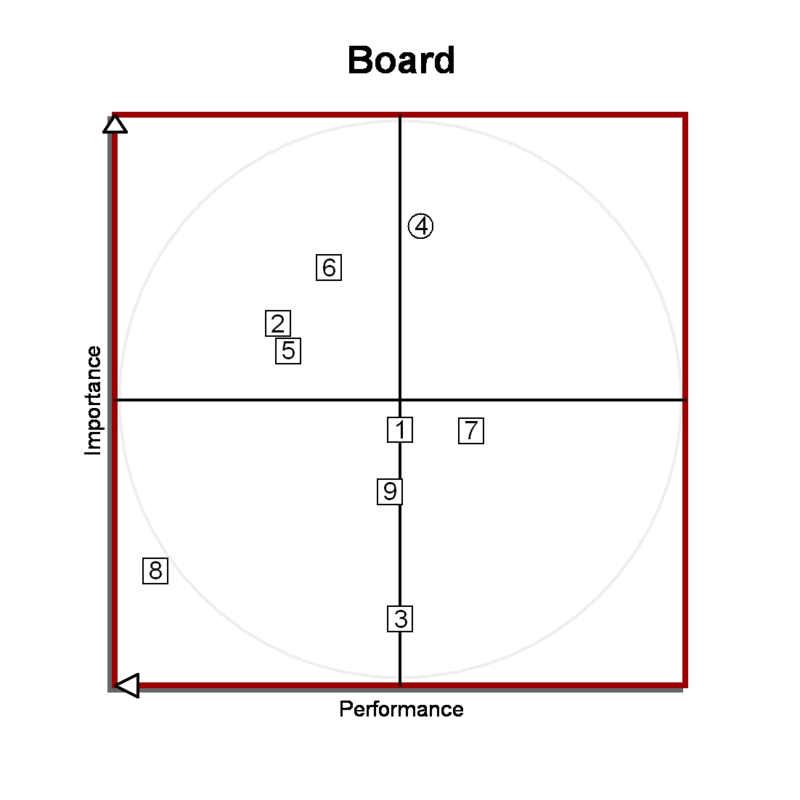 Third, they identified whether the strategy is old (square) or new (circle). To interpret these vote results, see our discussion of strategic profiling. The strategic profile can also be disaggregated by demographic sub-groups. 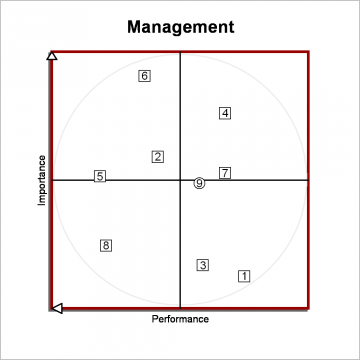 (See Strategy Profile disaggregated by “Management” and “Board”.) 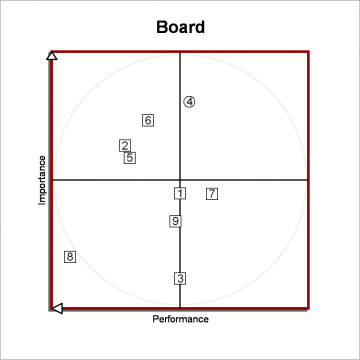 This capability is an extremely powerful way to deepen organizational learning and create alignment, as all groups are able to see explicitly where they align or differ. Where subgroups align, there is basis for agreement and immediate action. Where they differ, the disaggregated results facilitate consensus building by forcing further exchange of information and discussion of basic assumptions. Finally, any axis can be displayed as a bar chart to facilitate understanding and discussion.